The Compass: Sending a POLO Salute to ALL of our Veterans! Sending a POLO Salute to ALL of our Veterans! Thank you for your service...from our hearts to YOURS! 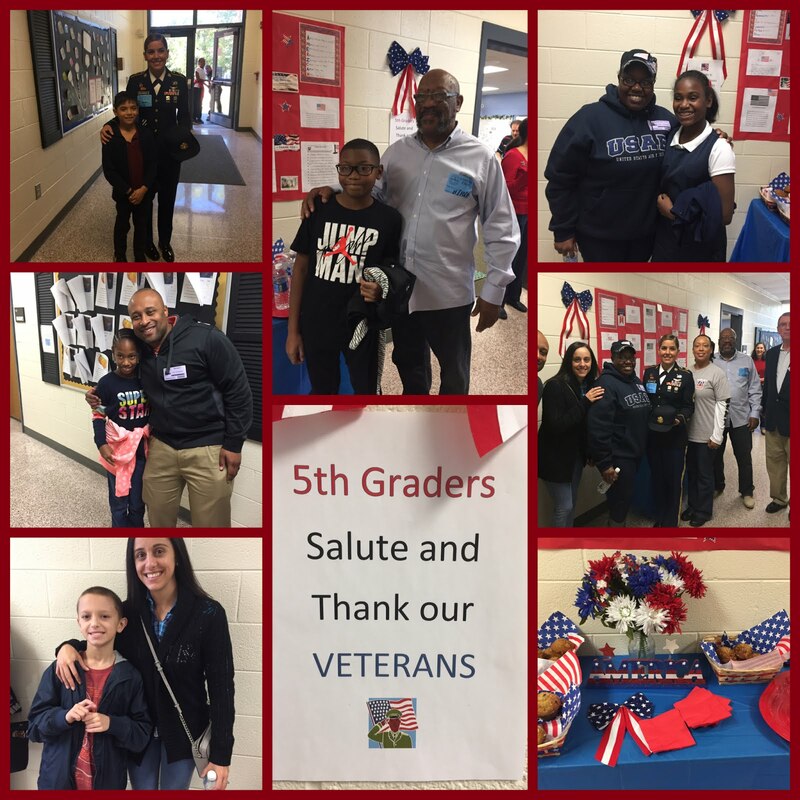 Our 5th grade teachers and students enjoyed some "one-on-one" time with several of our parents and community members who are veterans. Students were able to hear their stories and post questions of interest. A HUGE salute to each of you for serving our country and enlightening our students. Mr. Jay Weaver a retired veteran, came in to speak with 2nd grade students about veterans and the importance of Veteran's Day. He spoke about his many jobs in the military, the places he has traveled and answered questions that students prepared ahead of the visit. Students also had an opportunity to experience life as a soldier during drill practice! It was wonderful and the students loved it. They presented Mr. Weaver with notes of gratitude for his time served and for coming to our school today.